We are one of the known graphic designing company in Bihar, Patna. 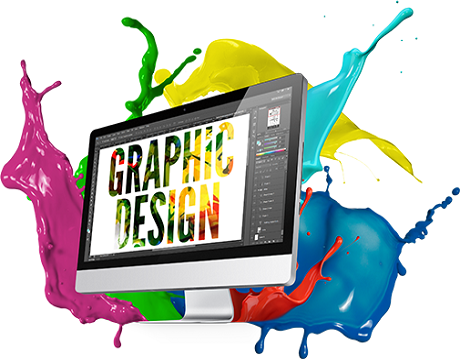 Graphic design is one of the categories that serves to the vital needs of businesses and companies. It creates a visual impact of your products upon the passer-by. Graphic designers need to create graphic art that appeals to the senses, yet conveys a meaningful message at the same time. These designs are used for ads and promotional materials that help in boosting the profits of the business. Graphic Designing Company Patna is a group of experienced graphic designers and brand innovators. We provide the best graphic design services in Bihar. With a "consumer first' mantra, we design anything and everything from a simple logo mantra to product packaging designs. We give more emphasis on your visual presence than offline appearance. This is the best way of increasing the sales, creating recall and improving your market standings. We make designs that are beyond expectations. We have a team of highly professional designers who delivers unparalleled aesthetic value to your websites through professional approach and unmatched style. This makes us unique. We all know that seeing is believing. With this philosophy in our mind, we create visual impact with purpose. We turn the few seconds of your customers' attention into endless companionship. We provide eye-catchy designs to your web pages. We raise your standards in a digital world.